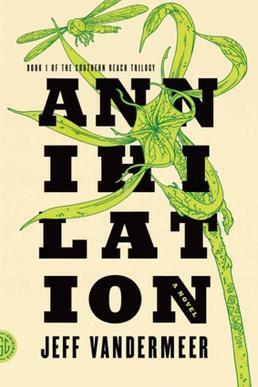 Annihilation is a horror/sci-fi which takes place in “Area X”, a strange ecosystem that’s been cut off from the rest of the world by a border which stretches the minds of those who try to cross it. Tension is the emotion at the heart of this story. How far can you be pushed and changed before your own self crumbles? There was a lot going on under the surface of this novel, and a Lovecraft-esque atmosphere helps push the question as to what humans can and cannot understand. The prose is strong (for the most part) and I got through it quickly because of the excellent pacing, so I’m looking forward to the sequels. I’ll be hoping for more actual horror and less inner dialogue about how terrifying everything is. Such an awesome trilogy. Thanks for sharing the great review!